 NCRI statement, April 14, 2019 - While the devastating floods affect more regions of the country, such as Khorasan, Hormozgan, Kerman, and other provinces of the country, the religious fascism ruling Iran has resorted to suppressive measures against the people of these areas and preventing popular protests instead of helping flood victims. On the other hand, in recent days, the mullahs regime has transferred a large number of militants affiliated to the terrorist Quds Force in Iraq, known as Hashd al-Shaabi, on the pretext of distributing aid to flood victims, with weapons and armored vehicles to Ahvaz and other parts of Khuzestan to suppress the dissent. Moreover, according to government media, another group of the Quds Force Iraqi mercenaries, known as Nojaba, "with more than 100 light and heavy vehicles, entered the territory of Iran from the Mehran border ... " According to the same media," all managers of representative offices of Nojaba in Iraq and the Head of the Executive Council of the Movement accompany the caravan."